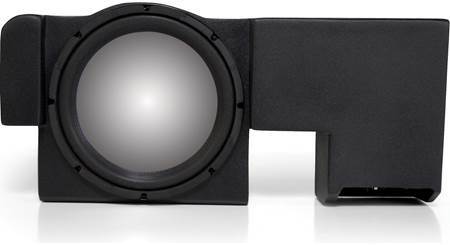 This black enclosure comes without a speaker  you install your favorite 10" subwoofer. 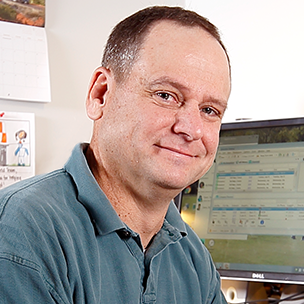 For best results, MTX strongly recommends using a speaker designed for an enclosure with a volume of 1.0 cubic foot. The enclosure mounts under the rear seat of select 2009-up Ford F150 SuperCrew pickups. Vehicle Compatibility: This Bass Slammer custom-fit enclosure is designed specifically to fit the 2009-up Ford F-150 Super Crew pickup truck. Mounting Location: The enclosure mounts under the rear seat of your 2009-up Ford F-150 Super Crew pickup truck. 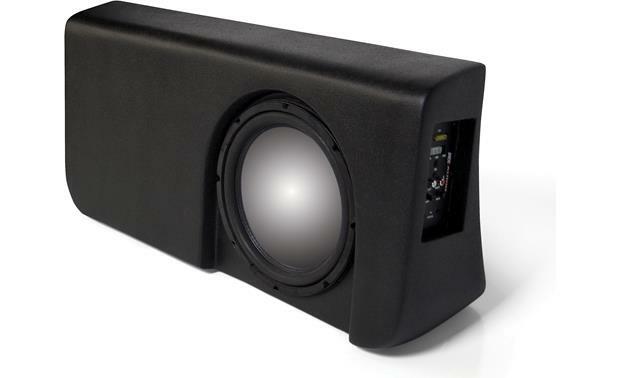 Enclosure Type: The sealed enclosure features fiberglass construction and fits one 10" woofer. Cut in a port? I'd like to use this, but would prefer a ported enclosure for the low end and efficiency. Wondering if I could use a hole saw, and cut a round port, and install a tube. Has anyone tried this? We have never recommended that someone try cutting a hole in it due to warranty issues. Also, we don't have records if anyone has tried it. 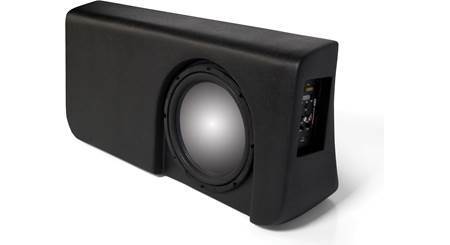 Searches related to the MTX ThunderForm Unloaded Enclosure Holds a single 10" sub  fits select 2009-up Ford F-150 SuperCrew (Black).